I am glad JustRite issued a challenge that includes sympathy cards. Sympathy cards can be so hard to make, and I appreciate all of the entries I’ve seen so far. There are so many good ideas for elegant and subdued cards. Well done, everyone! For my card I used something that I just received in the mail yesterday: my first JustRite font set! Some of them are 50% off right now (in the Super Sale section of the JustRite store) since they are reconfiguring how they bundle the sets. I had a lot of fun with my mom yesterday (we both ordered some fonts and Christmas stamps that are also on sale) trying out our new letters. We both had a few mistaken identities with letters: there were “Happy Dirthbay” and “symgathy” sentiments. I decided to make a 4×4 card, which I’ve discovered is the perfect size for a gift card and a little note. I used some DP I bought around Mother’s Day, and a “Natural” colored cardstock base instead of the “Kraft” that I have been using a lot lately. Thanks for looking! LOL — we’ve all been there at some time or another with our alpha letters!!! Glad you had fun & a few laughs along the way! 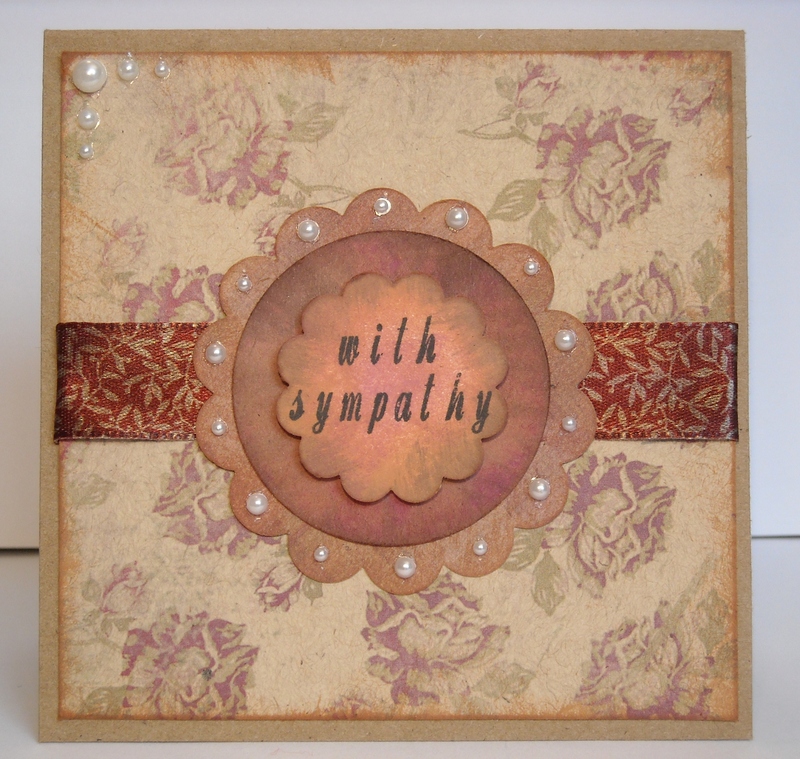 Love the pretty DP you used on your sympathy card! Beautiful card and wonderful use of JustRite font! Thanks for playing in our challenge!